When it comes to our children, we want to be able to provide the best for them. That is especially true in deciding proper medical care for our little ones. Finding the right doctor or dentist is critical. We have decided to help by listing some of the fabulous benefits you and your kids can find at Smile Reef Pediatric Dentist. 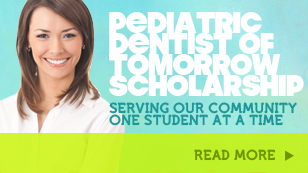 #1 – First and foremost, Dr. Jensen DDS is a trained and board certified Pediatric Dentist. This means that he did years of specialty schooling learning how to specifically work with children. Not only is Dr. Jensen a certified member of the American Board of Pediatric Dentistry, but he also performed a residency at the Children’s Hospital of Los Angeles where he was able to gain a vast knowledge geared exclusively toward a child’s health. Children’s teeth, behaviors, symptoms, mouths, tolerance to medication and other treatments are all different than that of adults. This is why it is very important to make sure your child is seeing an actual board certified Pediatric Dentist. Believe it or not, not all dentists working on children’s teeth are board certified. So make sure you double check. #2 – “My three boys keep asking when they can go back to the dentist!” This was the response from a mother when we asked her how her kids enjoyed Smile Reef. The number two reason for bringing your kids to Smile Reef is the magical way Dr. Jensen, the Dental Staff, and the office ambiance cater to creating a fantastic experience for your children. The office features a simulated surfboard and wave that the kids can play on, a fish tank, projector screen with Disney movies, ipads, and more. While your kids are being treated in the Dental chair, they can watch their favorite movie on flat screen televisions mounted to the sealing. Your kids will learn to brush their teeth at a surfboard counter and enjoy fun toys and prizes. This place is awesome and children will be asking to come back. No more fear of the dental office, those days are over! #3 – A relaxing atmosphere for the parents. It is important for mom or dad to feel at home while waiting for their little ones. Smile Reef has a relaxing beach feel for parents. Feel free to enjoy a magazine or some television in a soothing parents’ area while you can keep a watchful eye on your daughter playing in the kids’ area. #4 – Our staff is incredible and we enjoy kids! Dr. Jensen has set the tone for the office. He has 5 kids of his own, four daughters and one son. We make the children and their oral hygiene our priority. Our staff realizes that kids must come first to be the number one children’s dentist in Las Vegas. At Smile Reef, we enjoy a toddler’s smile, the funny things kids say, and how each child has their own incredible personality. #5 – Dr. Jensen and the Smile Reef staff are trained to work with special needs patients. “My baby boy has down syndrome. I was nervous about taking him to the dentist. Dr. Jensen was outstanding. He worked incredibly well with my son and helped him fit in. I’m so thankful.” If you are located in or near Las Vegas, and you need a Special Needs Dentist, Smile Reef is the place to go. Feel free to also call Dr. Jensen for specific questions. Well, there are many reasons to choose Smile Reef. We work hard to be the best pediatric dentist Las Vegas has to offer and we look forward to seeing you and your children at your next visit.